Victory! Activist arrested by judge in Laquan McDonald murder case released from jail | Fight Back! 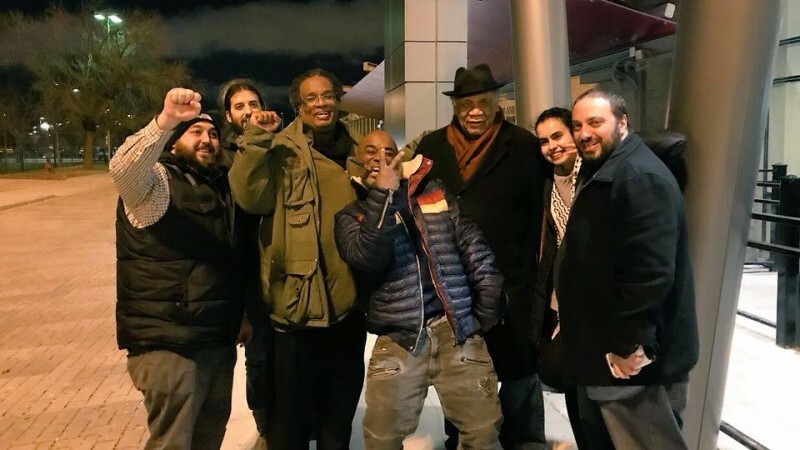 Chicago, IL - People power prevailed over the racist Cook County court system on March 15 as Tyrone Williams, a leader in the movement for community control of the police, was released from jail after being held incommunicado for seven days. As previously reported in Fight Back!, Williams was arrested on March 8 after being held in contempt of court by Judge Vincent Gaughan. Judge Gaughan is currently presiding over the murder trial of Jason Van Dyke, the Chicago police officer who committed the gruesome murder of Laquan McDonald. Tyrone Williams, an activist with the Chicago Alliance Against Racist and Political Repression and member of Freedom Road Socialist Organization, was held in solitary and without bail for one week. After his arrest, the Chicago Alliance took immediate action and mobilized for his release. Hundreds of supporters called Chief Judge Timothy C. Evans of the Cook County Circuit Court asking him to intervene on behalf of setting bail for Williams. The organization also created a Tyrone Williams legal defense fund that raised nearly $3000, more than half of which was collected within the first 24 hours. Williams appeared before Judge Gaughan on the morning of March 15 with a room full of supporters behind him. The judge set his bail at $30,000 and, thanks to support from the community, he posted bond that afternoon. He was finally released that evening to a small group of comrades and supporters, including members of the Alliance, Arab American Action Network, the U.S. Palestinian Community Network, and Take on Hate.